Amazon.com Price: (as of 2019-04-25 14:04:02 GMT) Product prices and availability are accurate as of the date/time indicated and are subject to change. Any price and availability information displayed on Amazon.com at the time of purchase will apply to the purchase of this product. 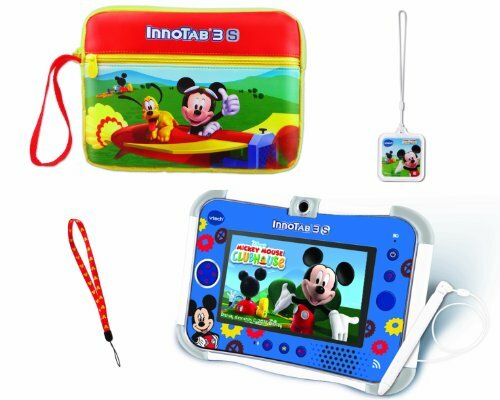 InnoTab 3S, The Wi-Fi Learning Tablet, offers a wealth of fun, age-appropriate learning games for kids on their very own learning tablet featuring the Disney Fairies! InnoTab 3S includes Wi-Fi, providing a bunch of new ways to play and learn. The Disney Fairies Limited Edition bundle comes pre-loaded with 20 apps and 2 Disney Fairies games, plus a Fairies storage case, wrist strap and charm.